A commercial train crosses on the West Rail Bypass International Bridge from Brownsville to Mexico Friday afternoon where the U.S. Border Fence can be seen from U.S. 281. 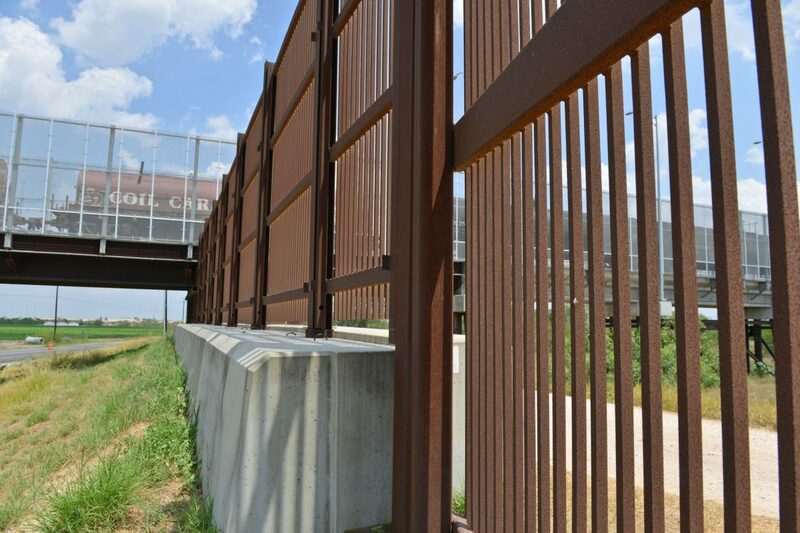 Seeking increased transparency in the Trump administration’s plans to build a border wall through the Rio Grande Valley, a coalition of environmental, public interest and human rights groups has asked the federal government to extend the public comment period on the proposed structure. More than 40 organizations sent a letter to U.S. Customs and Border Protection Monday asking the agency to extend its comment period by 60 days, in addition to sending requests for input in Spanish and holding public forums in McAllen, Mission and Roma. “Given the wide range of environmental, cultural, public safety and economic impacts of the proposed project, we believe that a minimum of 90 days is necessary to provide the public enough time to properly understand and meaningfully respond to the invitation to comment on the proposal,” the letter reads. CBP sent out requests for public comment on the agency’s proposal to build 8 miles of bollard wall in Starr County and 25 miles of levee fencing in Hidalgo County on about July 10, said Laiken Jordahl, an organizer with the Arizona-based Center for Biological Diversity, one of the organizations that co-signed the letter. Jordahl said it’s unknown how many organizations and residents received these requests, which were not dated, and informed recipients that “comments and information will be accepted up to 30 days following the date of this letter,” according to a request obtained by The Monitor. To his knowledge, Jordahl said none of these letters were made available in Spanish, despite the region’s large number of Spanish speakers. CBP’s Rio Grande Valley Sector did not respond to The Monitor’s request for comment. The groups also charge CBP with violating the National Environmental Policy Act (NEPA), which applies to large infrastructure projects potentially harmful to the environment. NEPA requires that a notice to comment is provided “via Federal Register publication, local newspapers, and other means necessary to reach the communities that the proposed action would impact,” according to Monday’s letter. Jordahl said CBP confirmed receipt of the organizations’ letter.